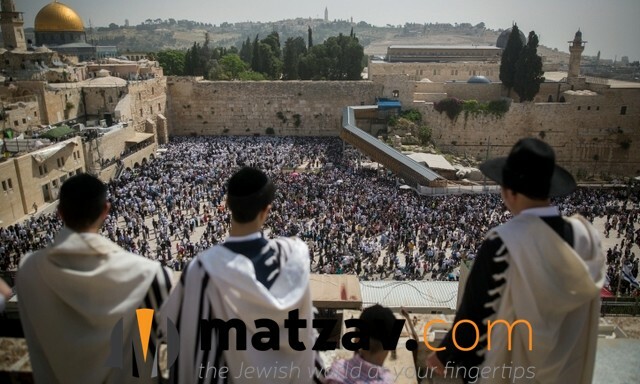 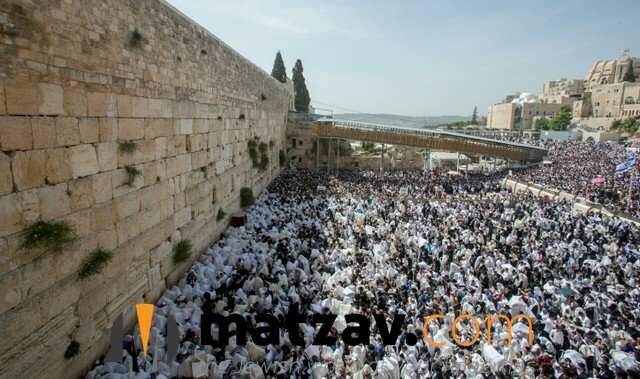 Israeli police were present in large numbers today for the massive Birchas Kohanim held this morning at the Kosel, drawing tens of thousands of Yidden. 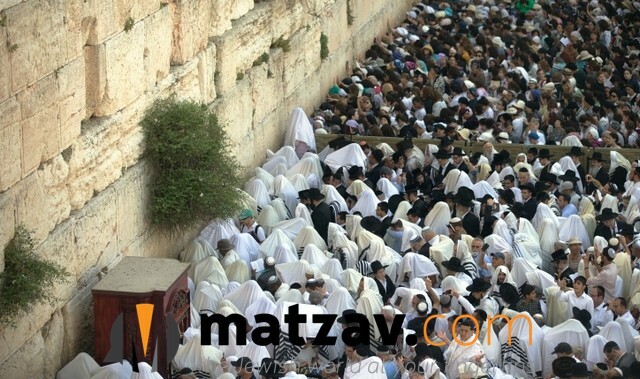 The large Birchas Kohanim is held every Chol Hamoed and draws tremendous crowds. 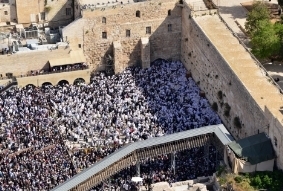 The entire Old City of Yerushalayim was closed to vehicles as thousands streamed by foot and via bus to the Kosel. 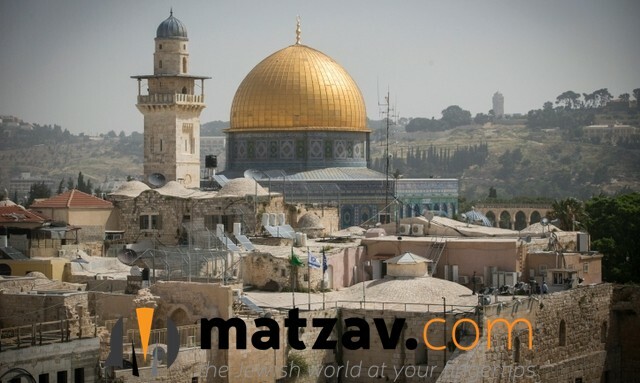 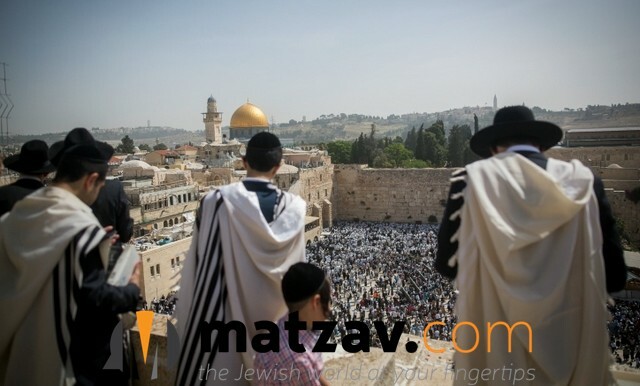 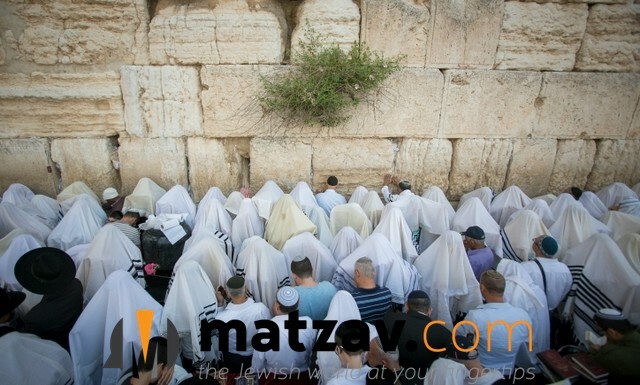 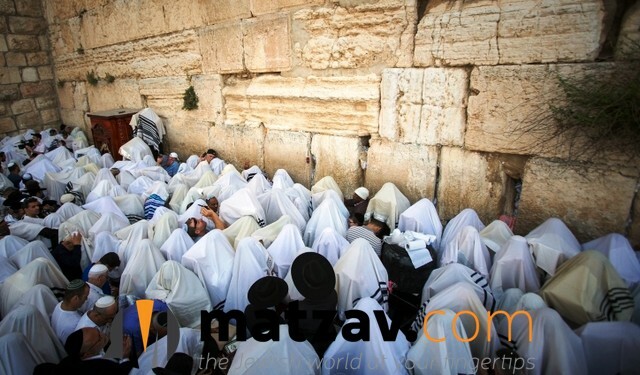 The Kosel chazzan called out the bracha over a microphone, while hundreds of kohanim gathered at the front of the minyan, right by the Kosel, to bentch their fellow Yidden. 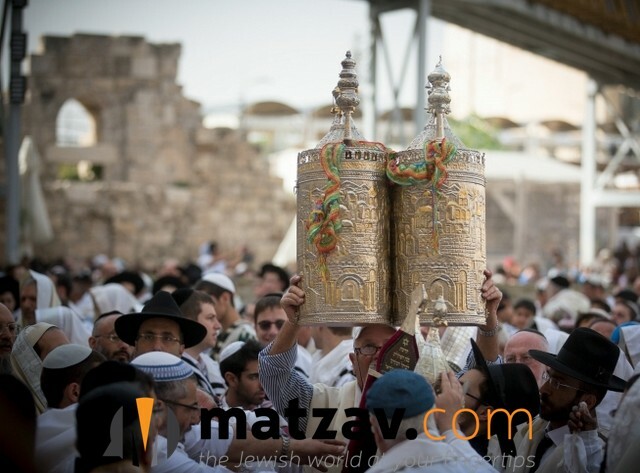 After davening, the Israeli Chief Rabbis, Rav Dovid Lau and Rav Yitzchak Yosef, as well as Rav Shmuel Rabinovitch, rov of the Kosel, were on hand to dispense brachos. 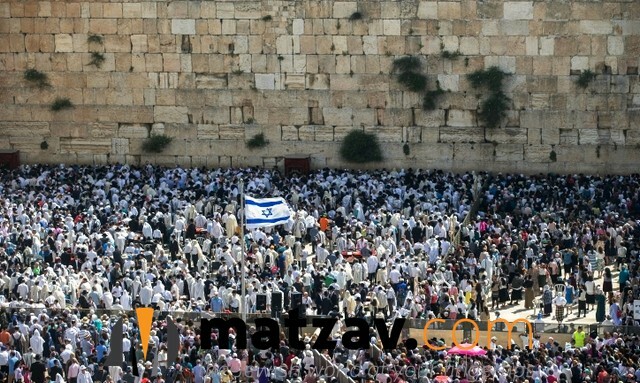 The biannual event was first started by Rav Menachem Mendel Gefner zt”l. 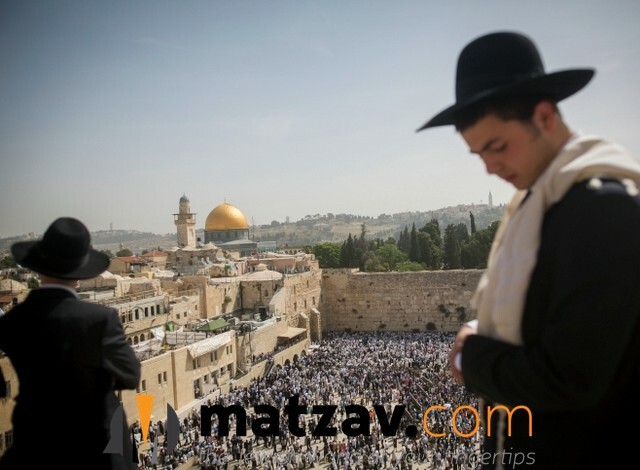 All together, some 3,500 police officers will be patrolling Yerushalayim throughout this week of Chol Hamoed. 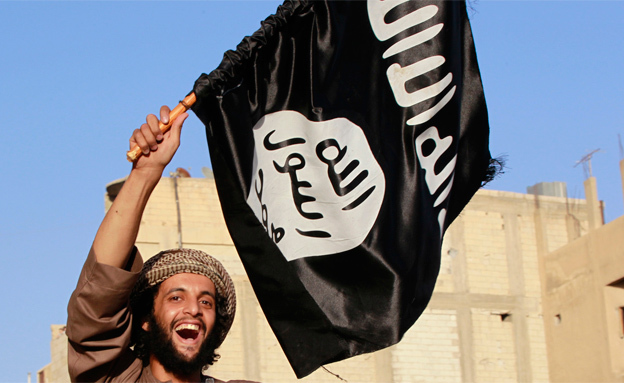 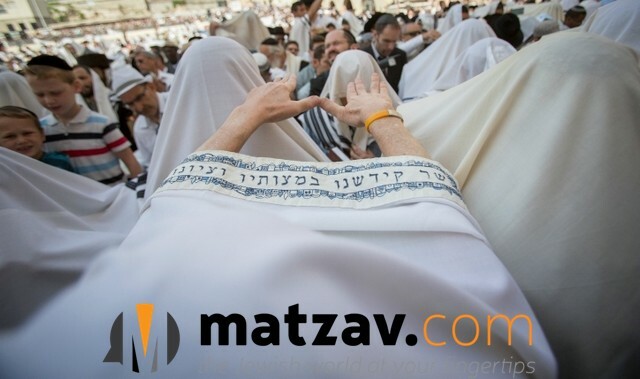 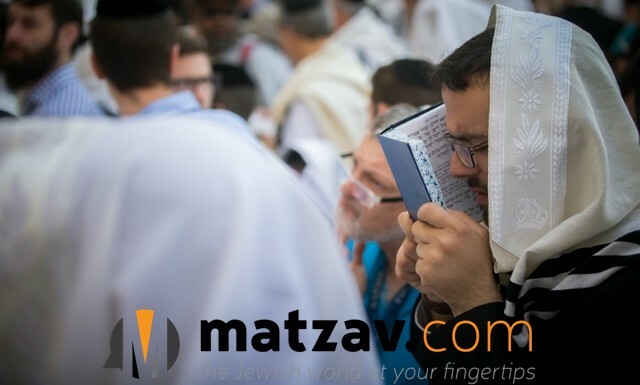 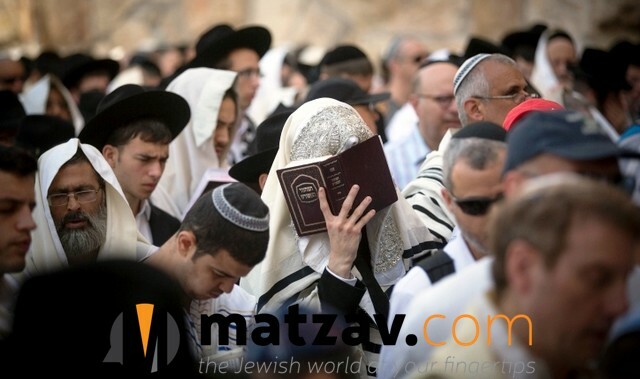 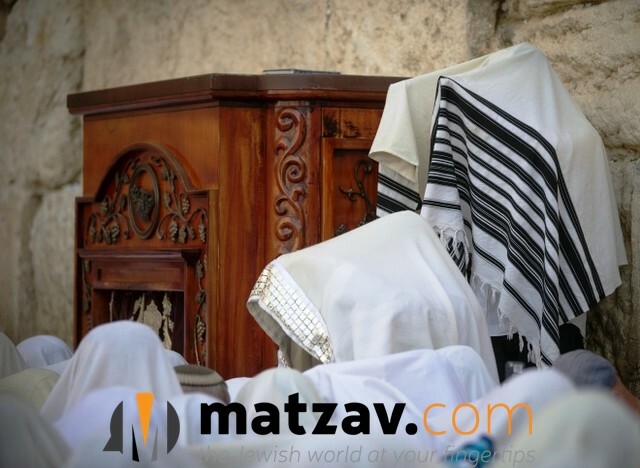 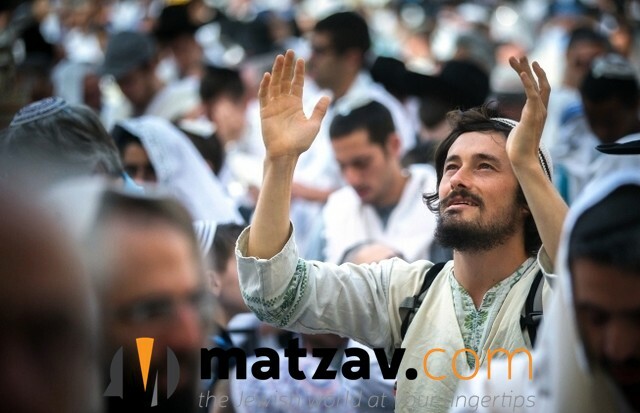 On Sunday, 1,043 people visited the Har Habayis. 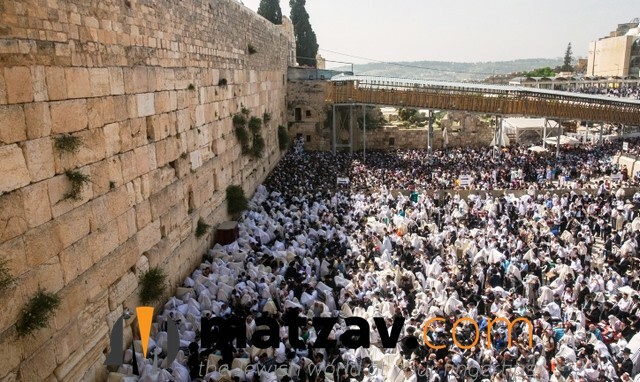 168 of them were Israeli Jews, who violated the psak of the greatest poskim who forbade visiting the Har Habayis nowadays. 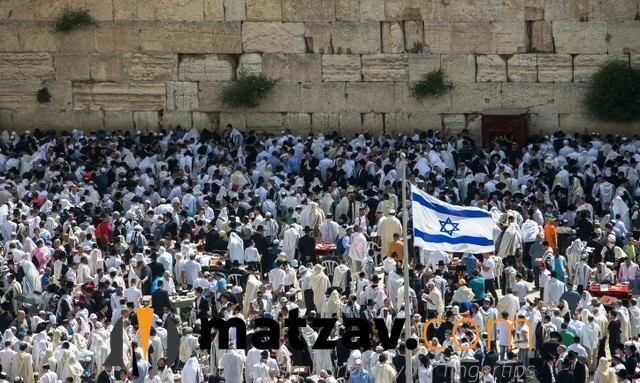 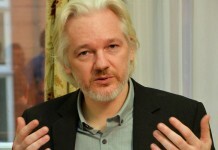 The rest of the visitors were foreign tourists. 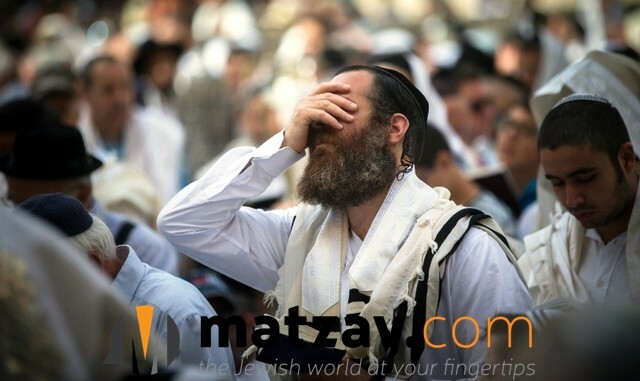 On Erev Yom Tov, about a dozen people were detained by police after planning to shecht goats on the Har Habayis as Korbanos Pesach.